Below are some tips for making this a safe and fun evening for your family. Apply reflective tape to your child’s costume to ensure they are seen by drivers on the road. 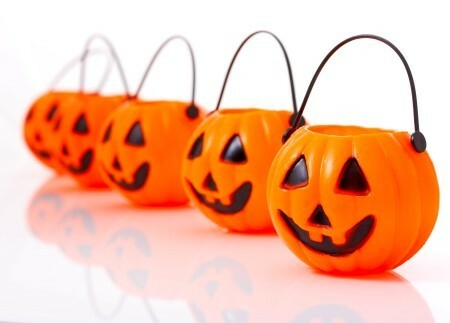 Provide children with flashlights to carry for lighting or glow sticks as part of their costume. If you are accompanying your child, bring a flashlight to help find safe pathways. When choosing a costume, stay away from billowing or long trailing fabric. Long costumes that drag on the ground can be dangerous, especially at night. After purchasing your child’s costume, make sure it’s an appropriate length, and hem anything that’s too long to avoid tripping. If you are making your own costume, choose material that won’t easily ignite if it comes into contact with heat or flame. Masks can make it difficult for your child to see or breathe. If possible, skip the mask altogether and use non-toxic make-up to complete the costume instead. If your child is wearing a mask, make sure the eye holes are large enough so they can see out.